Once again, recent studies found that eating real food (fish) is associated with health benefits, but taking a supplement (omega-3) isn't. Similar findings about fish versus omega-3 fatty acid supplements have also been found in other studies. Fish contains omega-3 fatty acids and many other nutrients - more than are found in supplements. The first study is a Cochrane review of studies already done. 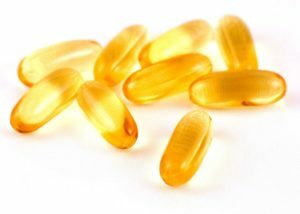 The review provides good evidence that taking long-chain omega 3 (fish oil, EPA or DHA) supplements does not benefit heart health or reduce risk of stroke or death from any cause. In other words, people take the supplements believing it helps heart (cardiovascular) health - but the evidence isn't there. On the other hand, a large study of people living throughout the US and followed for 16 years found an association with higher fish consumption and lower risk of early death, and death from cardiovascular disease. Additionally, in men - those eating the most fish (as compared to those eating the least) had a lower risk of death from cancer, respiratory disease, and liver disease, and in women - lower risk of death from Alzheimer's disease. However, eating fried fish didn't have those health benefits. The group eating the most fish had 8 oz or more fish per week, while the group having the least had less than 2 oz. per week. New evidence published today shows there is little or no effect of omega 3 supplements on our risk of experiencing heart disease, stroke or death. ...continue reading "Health Benefits Linked to Eating Fish, Not Supplements"
In general, the review of studies of popular supplements (multivitamins, vitamin D, calcium, and vitamin C) show no consistent benefit (no significant effect) for the prevention of cardiovascular disease, heart attacks, or stroke, nor any lowering of death (all cause mortality). On the other hand, folic acid and B-vitamins with folic acid, B6, and B12 reduced stroke (folic acid showed a 20% reduction in stroke), but niacin and antioxidants were associated with an increased risk of death from any cause (10% increase). But overall the effects in the studies were small. Vitamin D did not show any benefits in reducing death, but the researchers pointed out that many vitamin D studies are now under way, and the results of vitamin D studies so far are mixed (e.g. 16 showing positive effects from vitamin D, 17 showing a more favorable effect in the control group, and 10 neither). On the other hand, the researchers stressed that eating a well balanced diet has lots of health benefits and is recommended by the U.S. Dietary Guidelines Advisory Committee. Three dietary patterns are frequently discussed as beneficial: 1) a healthy American diet (sometimes called a "prudent diet") low in saturated fat, trans fat, and red meat, but high in fruit and vegetables, 2) a Mediterranean diet, and 3) a vegetarian diet. All 3 of these diets are rich in fruits and vegetables (which means increased fiber), are relatively rich in vitamins and minerals, and meet Dietary Reference Intake guidelines. ...continue reading "Study Finds No Benefit From Most Supplements"
Two studies looked at manganese and found that high levels are associated with problems. Manganese is an essential trace mineral necessary for development, metabolism, the antioxidant system, and for normal brain and nerve function. Getting manganese through foods (e.g. nuts, seeds, whole grains) is beneficial, but ingesting large amounts through supplements or being exposed to high levels in some other way (such as polluted air) is associated with various health problems. The first study found that high manganese in the diet (in mice) was associated with an increased risk of staph (Staphylococcus aureus) heart infection. The second study (done in East Liverpool, Ohio) found that exposure to consistently high levels of manganese in the air is associated with lower IQ scores in children. And why did the air the children were breathing have high levels of manganese? Because there was a nearby hazardous waste incinerator and a facility that handles manganese. Too much dietary manganese—an essential trace mineral found in leafy green vegetables, fruits and nuts—promotes infection of the heart by the bacterium Staphylococcus aureus ("staph"). The findings, reported this week in the journal Cell Host & Microbe, add to the evidence that diet modifies risk for infection. The discovery also suggests that people who have excess levels of tissue manganese, including those who consume dietary supplements with high concentrations of the metal, may be at increased risk for staph infection of the heart. Skaar and his colleagues studied the impact of dietary manganese on staph infection in a mouse model. Most of the mice that consumed a high manganese diet—about three times more manganese than normal—died after infection with staph. The investigators discovered that the animals on the high manganese diet were particularly susceptible to staph infection of the heart, which was a surprise, said Skaar, who is also professor of Pathology, Microbiology and Immunology.... The researchers found that excess manganese inactivates a key line of defense against pathogens: the innate immune system's reactive oxygen burst. Staph is the leading cause of bacterial endocarditis (infection of the inner lining of the heart chamber and heart valves) and the second most frequent cause of bloodstream infections. Interestingly, some populations of people have both increased risk for staph infections, particularly endocarditis, and higher than normal levels of tissue manganese, Skaar noted. These populations include intravenous drug users, patients with chronic liver disease and patients on long-term intravenous diets. A study led by environmental health researchers at the University of Cincinnati (UC) College of Medicine finds that children in East Liverpool, Ohio with higher levels of Manganese (Mn) had lower IQ scores. The study analyzed blood and hair samples of 106 children 7 to 9 years of age from East Liverpool and surrounding communities, who enrolled in the study from March 2013 to June 2014.... The study found that increased Mn in hair samples was significantly associated with declines in full-scale IQ, processing speed and working memory. Manganese is an element generally found in combination with iron and many minerals. It plays a vital role in brain growth and development, but excessive exposure can result in neurotoxicity. 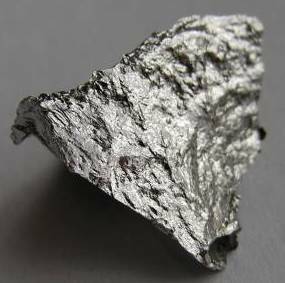 Manganese is used widely in the production of steel, alloys, batteries and fertilizers and is added to unleaded gasoline. Located in northeast Ohio along the Ohio River, East Liverpool has a demonstrated history of environmental exposures, with EPA records showing elevated levels of manganese concentrations since 2000.... all [air] monitors in East Liverpool had "consistently exceeded" health-based guidelines set by the agency. Supplements Linked to Higher Cancer Risk? While dietary supplements may be advertised to promote health, a forum at the American Association for Cancer Research (AACR) Annual Meeting 2015 by University of Colorado Cancer Center investigator Tim Byers, MD, MPH, describes research showing that over-the-counter supplements may actually increase cancer risk if taken in excess of the recommended dietary amount. "We are not sure why this is happening at the molecular level but evidence shows that people who take more dietary supplements than needed tend to have a higher risk of developing cancer," explains Byers, associate director for cancer prevention and control at the CU Cancer Center. The line of research started 20 years ago with the observation that people who ate more fruits and vegetables tended to have less cancer. Researchers including Byers wanted to see if taking extra vitamins and minerals would reduce cancer risk even further. "When we first tested dietary supplements in animal models we found that the results were promising," says Byers. "Eventually we were able to move on to the human populations. We studied thousands of patients for ten years who were taking dietary supplements and placebos." The results were not what they expected. "We found that the supplements were actually not beneficial for their health. In fact, some people actually got more cancer while on the vitamins," explains Byers. 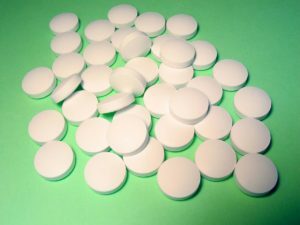 One trial exploring the effects of beta-keratin supplements showed that taking more than the recommended dosage increased the risk for developing both lung cancer and heart disease by 20 percent. Folic acid, which was thought to help reduce the number of polyps in a colon, actually increased the number in another trial. "This is not to say that people need to be afraid of taking vitamins and minerals," says Byers. "If taken at the correct dosage, multivitamins can be good for you. But there is no substitute for good, nutritional food." Byers says that people can get the daily recommended doses of vitamins and minerals in their diets by eating healthy meals and that many adults who take vitamin supplements may not need them."